"Hello Bev! 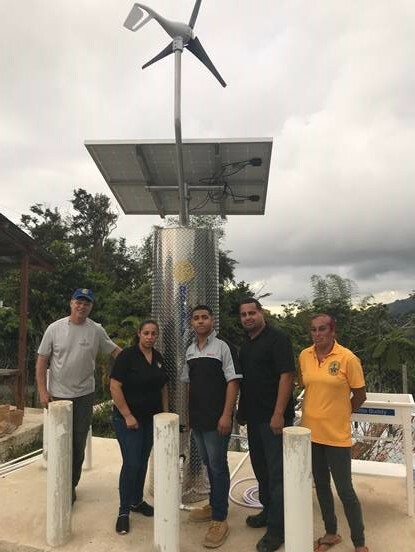 It is my pleasure, finally, to let you know that Filter #1 has been successfully installed in the first community of Santas Pascuas. Two member of our club, Felix Torres and Julio Laracuente, were present during the process as well as several members of the community. Tomorrow, Saturday, training will take place. Training was not provided after the installation because, being a weekday, most community members were at work. We will schedule the Fair for when I am back in PR, possibly to take place in April. [It would be] awesome if we had representation from your Club during that activity. Please see the pictures of the install. Thank you for everything, without you and your Club this project would not have been. Looking forward to more. Best Regards!"